An interest-only mortgage is a type of mortgage where each payment goes solely towards paying off interest as it accrues. When compared to a standard mortgage which blends principal and interest payments, monthly payments will be substantially lower. However, there is a catch: when interest-only payments are made on a mortgage, no money is actually going towards paying down the principal loan amount. Meaning that you will never pay off your mortgage by making interest-only payments. That being said, there are situations where going interest-only may be advantageous. Interest-only mortgages are flexible due to their nature as a revolving line of credit. While making regular interest-only payments, the homeowner still retains the option to make lump-sum payments to pay down the mortgage principal. This way, monthly payments will be as small as possible, and when money is available the owner can make headway in paying off their mortgage. Alternatively, when money is tight, a homeowner can use the equity in their home as a line of credit and borrow the needed funds. By using their home equity, they will pay a substantially lower interest rate than if they were to borrow using another source such as a credit card or an unsecured loan. For short-term loans, interest-only payments can also be a great option. With rental and investment properties, paying off a loan may not be a priority. If rental income or an increase in real estate value nets the owner a profit, then it may not be in the owner's best interest to pay down the principal—especially if doing so would cut into or eliminate profits. Similarly, for many small businesses, choosing to make interest-only payments frees up money which may be of better use building the business. For example, money can be used to buy new equipment, pay for additional staff, or ramp up marketing efforts. 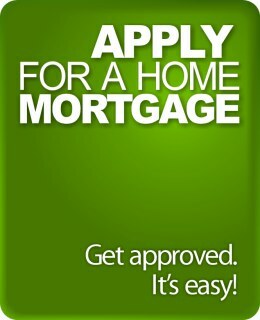 How do I get an interest-only mortgage? In order to qualify for an interest-only mortgage, you must have a minimum down payment of 20%, and to use the mortgage as a line of credit, you may not borrow over a loan to value ratio of 80%. The maximum amortization is 25 years. 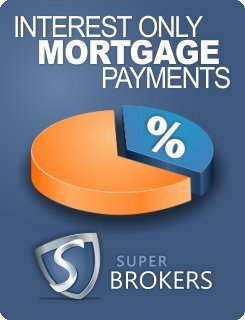 Contact Super Brokers to find out if an interest-only mortgage makes sense for you. Making a choice between a cash back or rewards credit card can be a tough one. It's hard to know what a 'point' is actually worth, let alone if they're worth more or less than what you could be earning from a cash back card. Our credit card points calculator will not only help you figure out what those rewards points are worth, but will also help you compare multiple credit cards side-by-side.